A band beyond description, based in Leicester in the heart of England, The Grateful Dudes have come together to play the music of The Grateful Dead in the spirit of adventure. 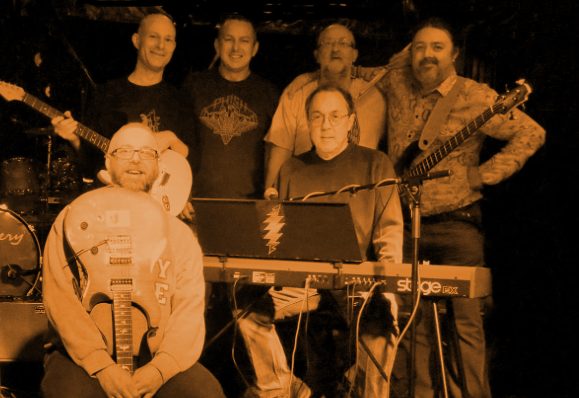 Highly experienced in the European Dead scene, they have been playing these songs since the mid ’80s in various line-ups and venues- Deadicace, The Cosmic Charlies, The Shotgun Ragtime Band and now The Grateful Dudes. This ain’t no tribute; this is pure improvisation!